The Lenovo Flex 11 Chromebook may very well be one of the most underrated devices of 2017. I’ve had some extensive hands-on time with the rugged convertible and in that time it has proven itself by performing just as well as Chromebooks at twice the price. If you’re thinking the Flex 11 looks familiar, you are correct. 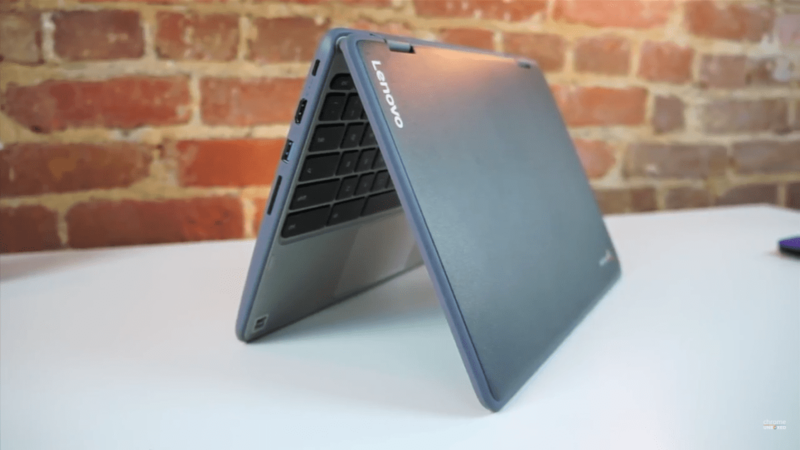 This is the consumer version of the Lenovo N23 Yoga Chromebook Robby unboxed back in April. Apart from the silver keyboard deck and charcoal body, these devices are identical. Let’s take a look at what the Lenovo Flex 11 has to offer for $279. 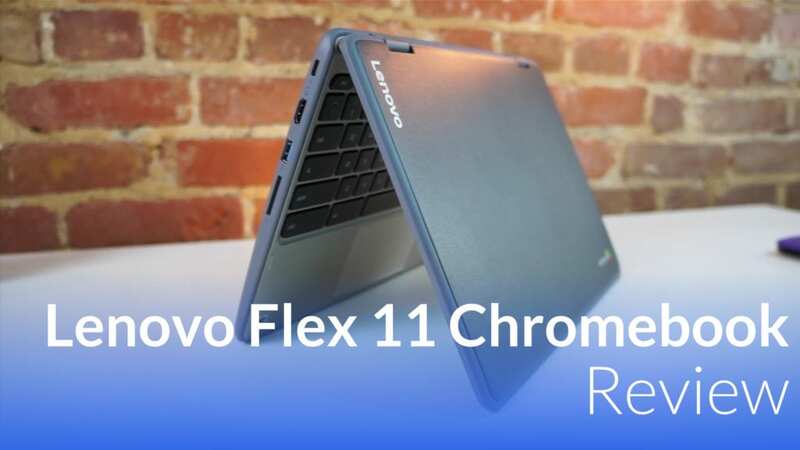 Despite the fact that the Flex 11 is aimed at the consumer market, the 11.6″ Chromebook touts the same rugged features as its EDU counterpart, the N23 Yoga. Its design is very unassuming with a slight taper towards the front of the device and a weight of just under three pounds, you almost forget it’s a reinforced Chromebook designed to take a beating. The body of the Flex 11 feels solid in comparison to some other models we’ve recently reviewed. The chassis and display are both wrapped with a protective rubber bumper and there is little to no flexing or bending present when the device is put under stress. The Flex 11 also features a spill-resistant keyboard that is capable of channeling up to one cup of liquid away from sensitive components. You know, in case I knock my coffee over. All-in-all, the build quality of the Lenovo is spot on. It feels durable and looks great while avoiding the clunkiness you’d expect from a rugged computer. This is another area that Lenovo really nailed it. USB-C may eventually become the standard but the fact is the average user still possess a majority of devices that use USB 3.0 as well as HDMI. Lenovo covered all the bases. The Flex 11 offers one each of the USB 3.0, USB-C and a full-size HDMI port. In my opinion, this strikes the perfect balance on a device that costs less than $300. You also get a full-size SD card slot which is becoming a rarity for many Chromebook makers. Aside from that, you get your standard Kensington lock and a 3.5mm headphone/mic jack. The screen on the Flex 11 is about as good as you’d expect from an 11.6″ budget device. At around 230 nits, it’s not the brightest on the market but at the same time, I never found myself bothered by it. The viewing angles are very good and Lenovo did a decent job of keeping the bezels under control. The colors produced by the display are clear and very vibrant when sitting next to my Acer R11. The only time the 1366×768 on the Lenovo really seemed lacking was with bright white backgrounds that appear a bit washed out next to brighter displays. Lenovo has always impressed me with their laptop keyboards and the Flex 11 was no exception. The keyboard has a very comfortable amount of travel and just feels good to type on. It could be a bit clickier for my taste but the responsiveness of the keys is impressive. No complaints here on the keyboard. The trackpad on the Flex 11 is exceptional compared to most mid-range Chromebooks. We have seen an epidemic of floppy, anemic and even unusable trackpads on a number of devices lately but Lenovo avoided this pitfall completely. The trackpad is very wide even for my large hands and the click is tight and consistent from left to right. Overall, it’s one of the better touchpads I’ve used this year. The Lenovo Flex 11 is powered by the MediaTek MT8173 ARM processor. Following in the footsteps the Acer Chromebook R13, it’s only the second device on the market to use this chipset. The R13, announced almost a year ago, was met with mixed reviews and caught additional criticism as Play Store support was delayed until just last month. For this reason, I was a tad apprehensive about how the little Lenovo would perform. The MediaTek processor is paired with 4GB RAM and 32GB of storage which is pretty standard fare for Chromebooks in this range. After using the Acer Chromebook 14 for quite some time, I really expected a similar experience but I was proven pleasantly wrong. First, the MediaTek chip can do something none of my Braswell devices can or ever will do. A couple of months back I picked up a Lenovo QHD monitor for my desk and quickly found that my Acer Chromebook 14 didn’t have support to handle the pixel-dense display. The newer MediaTek processor can push the monitor and does so without breaking a sweat. I used the Flex 11 as my daily driver for an extended amount of time and not once did I find myself needing something more powerful for normal, daily tasks. It was so simple to come to the office, plug in the HDMI, close the lid and get to work. That one thing makes the Flex 11 more versatile and capable than pretty much every last generation budget Chromebook available, regardless the cost. Performance wise, the Flex 11 handles itself very well. Don’t get me wrong, this isn’t a device that will go toe-to-toe with Core M processors but benchmark scores put it somewhere in the range of 30-40% better than Braswell devices. That’s a huge leap for a relatively inexpensive ARM-powered Chromebook. The Lenovo Flex 11 recently acquired Android Apps in the Stable channel and so far, is running them like a champ. Playing games like Modern Combat 5 are a breeze provided you don’t push the settings to the max. For casual users wanting a good Android experience, I think the MediaTek processor is finally coming into its own. Browsing, daily tasks and even some moderate to heavy gaming are all done with ease on the Flex 11. The only issues I have run into were having over a dozen tabs open including Hangouts and Play Music. At this point, you begin to see the Flex hanging a bit to catch up but I failed to ever push the Chromebook too far. Overall, the Lenovo Flex 11 Chromebook hits on every area and then some for a device in this price range. I was incredibly impressed with its performance, build quality and design. For the average user, I cannot recommend this Chromebook enough. When compared to the latest Apollo Lake devices, the Flex 11 is capable of more than I ever expected all at almost half the price of the “next generation” of Chrome devices. I will go ahead and say this now. The Lenovo Flex 11 Chromebook is and will likely remain one of my top picks of 2017. If you are looking for a versatile device that’s attractive and durable I can’t think of a better choice and at $279 you won’t likely get a better bang for your buck.